screen to display the Entertainment screen. icons are displayed in the lower part of the center display. 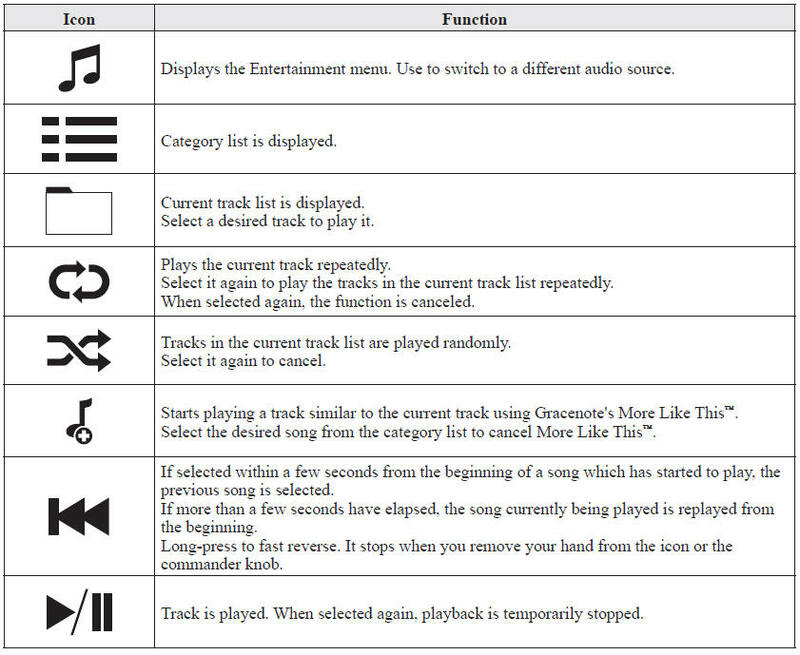 The appearance of the repeat and shuffle icons changes depending on the type of operation in which the function is used. *1 Playlist folders of Apple devices are not supported. 3. Select a desired track. 4. Select a desired track. *1 Can be operated using an Android™ device or USB flash memory.